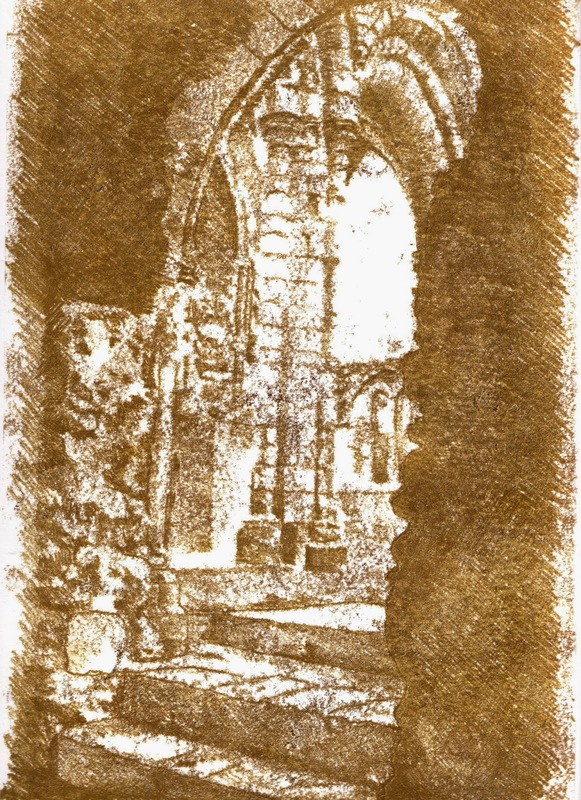 Over a period of about six months, Cowprint members sent art through the mail; image relays in postcard form. Each handmade work of art was inspired by the image and text of the previous and became part of a circular chain, ending where they began - with the two artists who started them. 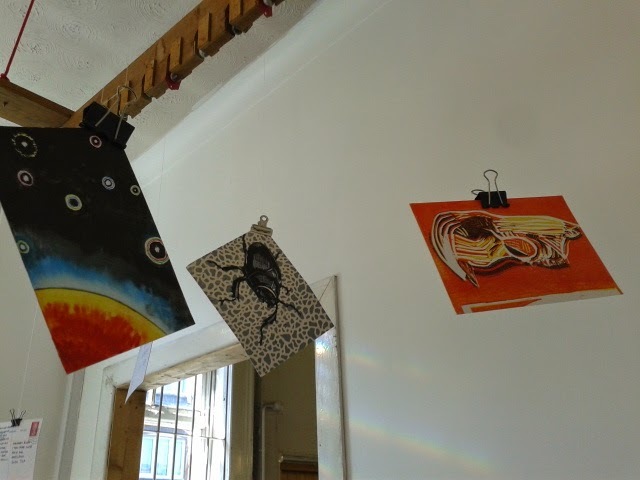 The postcards are currently on display at Red Hot Press. Last week, along with some fellow Cowprinters, I had the privilege of visiting the studio of Jo Barry. 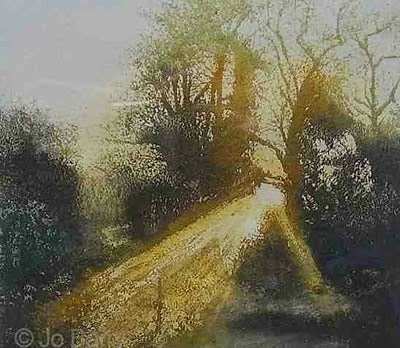 Jo, a Fellow of the Royal Society of Painter-Printmakers, lives in the New Forest which inspires her to produce rich, atmospheric landscapes full of light. 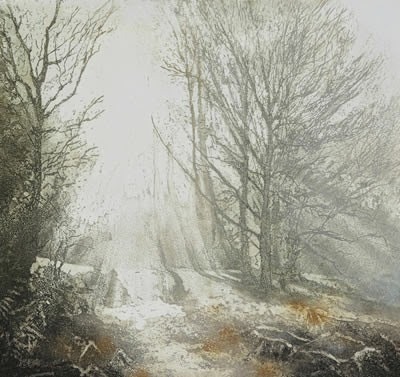 She captures the beauty of her surroundings in her etchings, drawings and watercolours, often depicting early morning scenes captured whilst out walking her dogs. 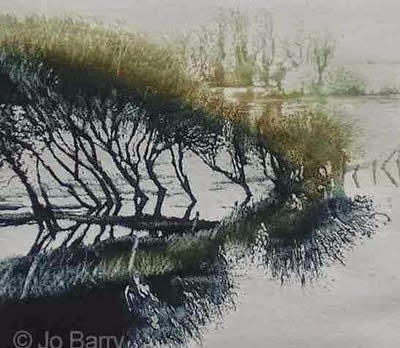 Jo was very generous with her time and, as well as telling us about her career over the years, showed us how she makes, inks and prints her plates. It's fascinating to watch other artists work; everyone has different ways of carrying out each stage so you can learn some useful tips too. 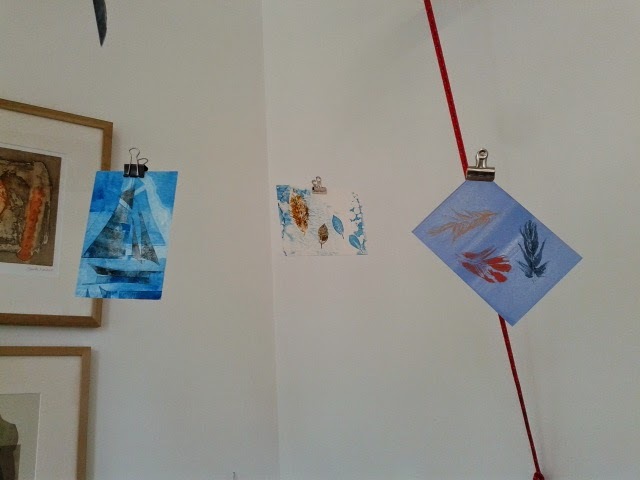 It was a most enjoyable morning spent with a very welcoming and interesting printmaker. Check out Jo's website here. 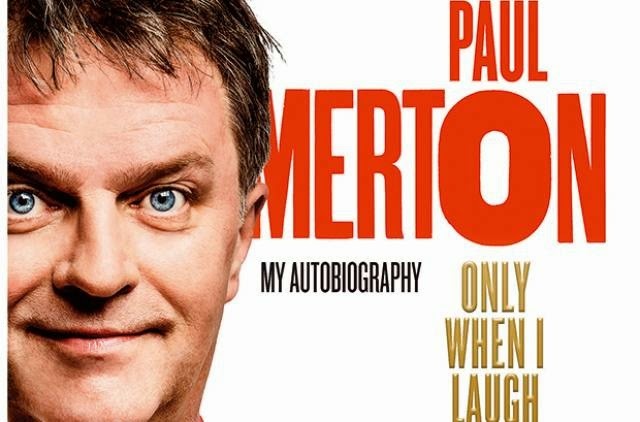 I've just been reading Paul Merton's autobiography which came out last year. What's the life of a comedian got to do with art? Quite a lot actually. It's not a well written book but I like the chap and it's how he speaks so you can read it in his voice and it doesn't grate or bore. And it's a really good account of how a comic starts out and builds a successful career. It's clear he was pretty single-minded and determined to be in comedy from a young age (he read all the biographies available and collected silent films of stars such as Buster Keaton) and is highly analytical in his approach to his craft. He familiarises himself with the venue thoroughly before he goes on, assesses the audience by watching their reactions during the acts before his own (and during his performance of course) and he reflects at length on all his performances, analysing what worked and what didn't. It seems obvious now - being a comedian is no different than any other creative pursuit. It takes the same dedication, motivation, determination, reflection and hard work that art or writing or music take. Merton gave up his job in the Civil Service at 22 to live on the dole in a depressing bedsit so he could write comedy. He and his writing partner John Irwin treated it like a nine to five job; in other words, they put in the hours and gave themselves a routine (for the day /week I mean). This reinforced my own thoughts about my current situation. I had a fairly strict routine when I worked at the council; necessary in order to manage the demands of the job, caring for the Aged P, Cowprint, teaching and my own creative practice. Now that I no longer have the Monday, Wednesday and Friday at work, where I have to be in a certain place between the hours of 9am and 5pm, routine has gone out the window. I am all over the place. This isn't good for me or the Aged P who has dementia. So, routines need to be established and devising them is top of my list for this week. It's been good to have a couple of days in the studio this weekend; all that essay-writing and data work was sapping my creativity. 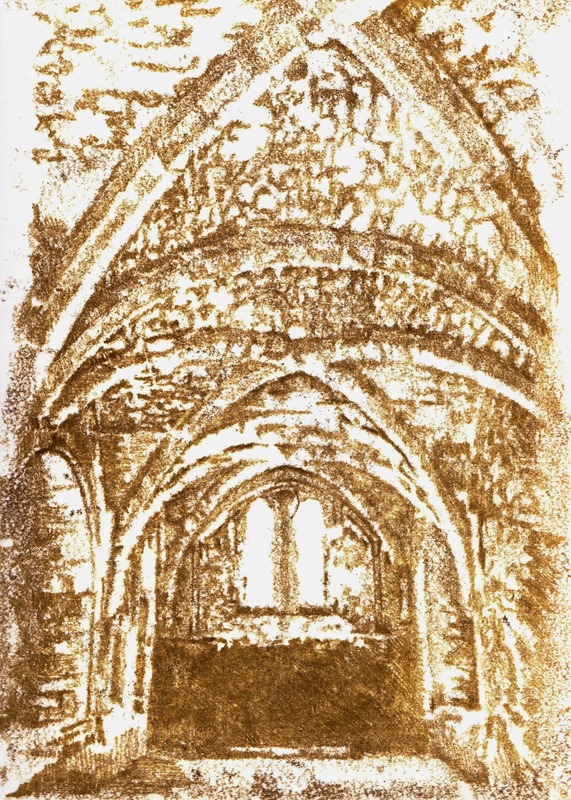 I'm now thinking about monoprinting and preparing for a course I'll be teaching soon so here are a couple of direct monoprints of Netley Abbey, a late mediaeval monastry, now just ruins, fairly near here. I had fun with the old stonework in this technique... suits it quite well I think. These were very quick to do, just a couple of hours each, so a change from etching which always seem to take me months to finish. 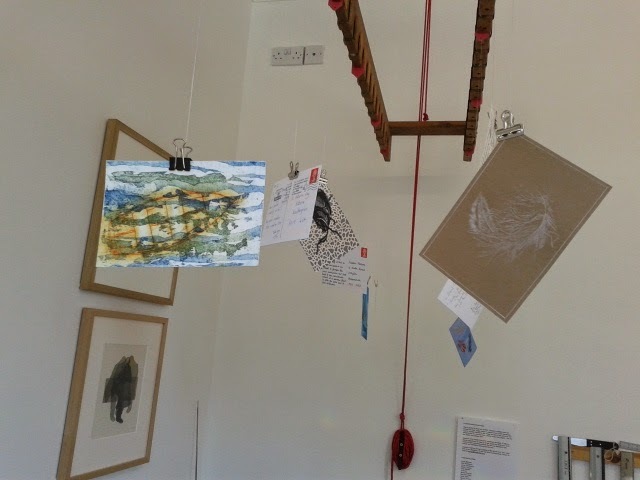 At Cowprint last week, we had an interesting session looking at and selecting work for Scratching the Surface, a Red Hot Press members' exhibition of etching and drypoint. 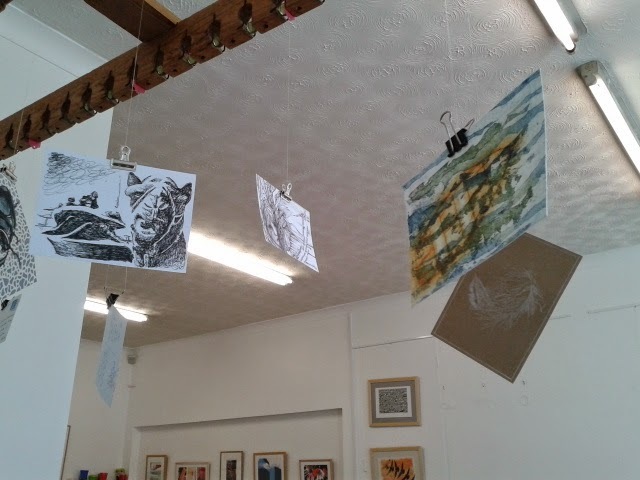 Some lovely work... it's going to be a good show. 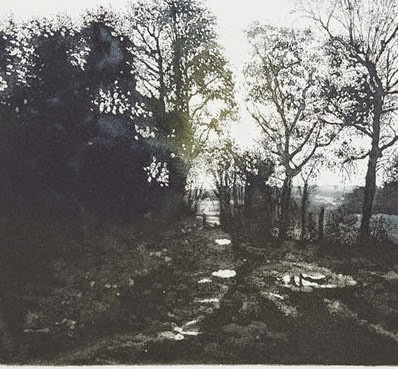 Plus we are very lucky to have Ali Yanya, drypoint master, showing with us too. 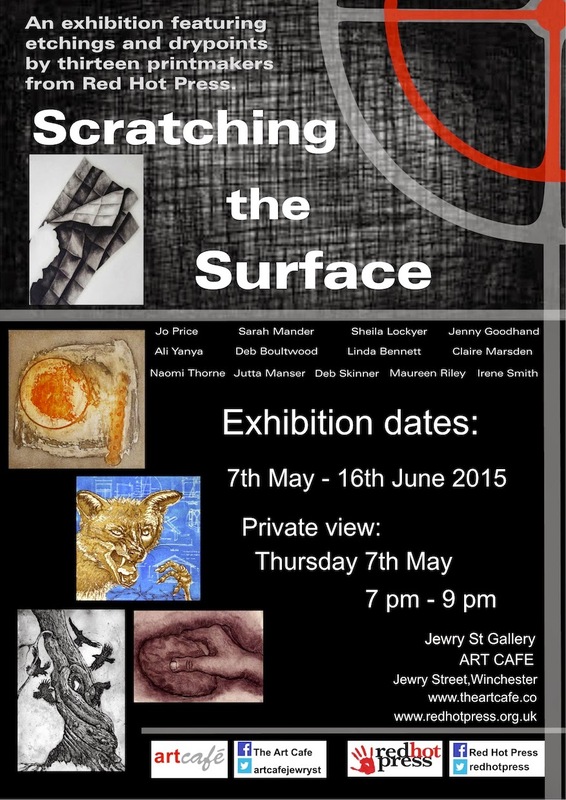 Private view on Thursday 7 May from 7pm to 9pm. Come along and see what it's all about.